Many American expatriates living in Canada are keenly aware of their obligation to file a Report of Foreign Bank Account (FBAR) and Foreign Account Tax Compliance Act (FATCA). However, some expats can lose sight of this obligation. 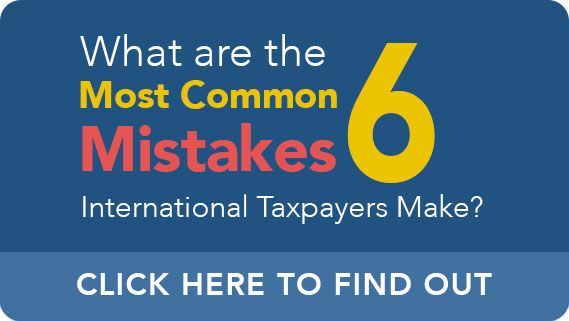 Other taxpayers may be less aware of their need to file reports of foreign accounts. For instance, an “accidental American” is a Canadian citizen who unwittingly obtained citizenship from a parent at birth or through other means. These individuals may not even be aware that they are a United States Citizen — nevermind that they could have an obligation to file offshore disclosure reports. 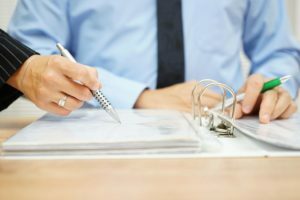 In at least some situations, this can lead to taxpayers facing enormous fines and other potential consequences. If you are an expat, a dual citizen, or a taxpayer who is otherwise concerned about potential U.S. tax or foreign disclosure obligations, Ted Kleinman of U.S. Tax Help may be able to assist. For decades, Ted has helped expats, dual citizens, and others with U.S. tax obligations for decades. To schedule a consultation, please call Ted at (541) 923-0903 or contact U.S. Tax Help online. In 2010, FATCA was passed by Congress in an attempt to crack down on perceived income tax evasion by wealthy Americans. This law was put into effect through the signing of an intergovernmental agreement between the United States government and more than 100 other governments. The IGA between the United States and Canada went into effect in 2014. Under the Model 1 agreement the nations signed, tax information is sent to the Canadian Revenue Agency (CRA) before it is sent to the IRS. This type of approach is supposed to give a nation more control over the taxpayer and financial information it sends out of the country. This should provide additional protection for the privacy interests of people living in foreign nations. Since the IGA was signed, the U.S. and Canadian governments have engaged in two instances of taxpayer information exchange. The first occurred in September 2015 and the second transfer of information occurred in 2016 when more than 300,000 records were sent. In total, nearly 470,000 taxpayer records have been sent from Canada to the United States under the IGA. Despite the treaty between the United States and Canada, information uncovered by the CBC seems to suggest that some financial institutions are not respecting the terms of the agreement. They may be sending taxpayer and financial data to the IRS directly without first transmitting this information to the CRA. CBC came upon this information through a Freedom of Information Act request. The request sought information regarding the accounts the IRS had received information regarding. Through the FOIA request, the Canadian news agency uncovered that during both the 2015 and 2016 transfers, more records were received than the CRA claims to have sent. In fact, during the 2015 exchange, an addition 17,000 records were transmitted and about 15,000 additional records were transmitted during the 2016 exchange. Observers believe this discrepancy was caused by financial institutions that may be reporting directly to the IRS. It is not entirely clear why these additional reports are being made, but some speculate that reporting non-financial foreign entities (NFFEs) may be sending the information to the IRS without first passing it through the CRA. This means that U.S. taxpayers holding certain accounts in Canada may face an unexpected increased risk of discovery. While ATCA’s information sharing procedures have long been a concern, this inquiry shows that calls for caution are entirely appropriate and should not be ignored. If you have questions or concerns regarding your foreign accounts and duty to report under FBAR or FATCA, CPA Ted Kleinman can help. Ted has helped expats and international taxpayers comply with IRS and foreign disclosure rules for decades. To schedule a consultation regarding FBAR, FATCA, or any tax compliance concern, call U.S. Tax Help at (541) 923-0903.